The secretive trade pact is expected to cover about 40 percent of the global economy. Pacific Rim trade ministers reached a deal on a sweeping trade pact that will cut trade barriers and set common standards for 12 countries (the USA, Australia, Brunei Darussalam, Canada, Chile, Japan, Malaysia, Mexico, New Zealand, Peru, Singapore, and Vietnam), an official familiar with the talks told Reuters on Monday. According to The Politico, the agreement followed nine days of negotiation, almost stalling due to discrepancies in member-country approaches to the length of copyright protections for new medicine. The deal is expected to be voted on in the US Congress early next year. 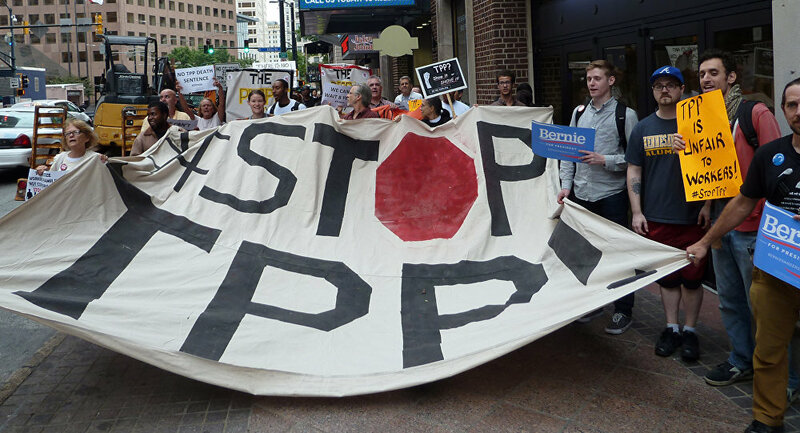 The TPP has been negotiated in unusual secrecy between the United States and 11 Asian and Pacific Rim nations. The controversial trade pact is expected to cover about 40 percent of the global economy. Uncertain implications for workers' rights, employment and the environment have drawn heavy criticism from labor unions and watchdogs.